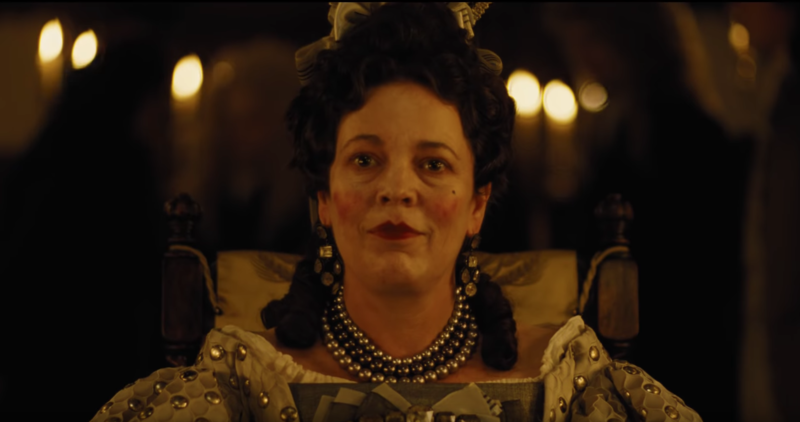 It’s hard to talk about a film as layered and bonkers as The Favourite; every time I try to pin it down as one type of film it feels wrong and I feel the need to start again. On the surface it’s a period comedy about two women both fighting for the heart of Queen Anne, the last Stuart monarch of England and played here by Olivia Colman. Barely a few scenes in though, and the whole thing starts to morph into something altogether darker. As far as the plot of the film goes, that summary above is pretty much the start and the end of the film. The fight for Queen Anne’s affection, executed by Rachel Weisz as Sarah Churchill and Emma Stone as Abigail Masham, takes place over multiple chapters in which there are various schemes to undermine one another and appear more favourable to Anne. This is mostly played for laughs, though it can get incredibly dark when one or two schemes go a little too well. For the most part the comedy is in the dialogue, which all three leads absolutely throw themselves into with relish. At times it veers into The Thick of It style profanity (a connection made stronger with the presence of James Smith as Prime Minister Godolphin), delivered in such a matter-of-fact way that I couldn’t help but let out a laugh even when events take a really dark turn. Given this is a story based on historical figures and events, there is to an extent a requirement to stay faithful to true goings-on; with Queen Anne though, there’s not a lot made of her reign that many would know going in. As a result, the revelations made of her personal life – the loss of 17 children most significantly – is a devastating reveal played completely straight and Colman channels that extreme grief and loneliness beautifully. As the film progresses, and the comic elements are stripped away slowly, the weird camera angles, isolated location of the Royal Court, and the erratic behaviour by all involved parties quickly became oppressive and nigh on unbearable. By the end of the film, I found myself very keen to get out of the auditorium for a bit of breathing space. Whether intentional or not, I was left with the feeling that I was seeing these three women descend into their own personal hells. 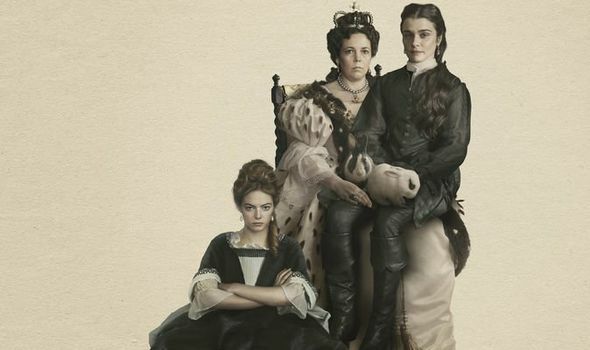 The Favourite makes the main characters’ infernal journey a fun one to watch though; while the film almost exclusively takes place in one location, Lanthimos sends his actors and characters to all corners of the palatial setting. Not only is it a treat for the eyes, but there are a few weird and entertaining moments to allow a bit of breathing space in amongst the scheming and misery – plus it might have one of the best dance sequences in cinema. It’s a lot to take in, and as the end credits rolled I wasn’t the only one sitting through the baroque music, taking stock of what just happened. The Favourite definitely deserves to be seen over and over, from the central three actors’ performances to the playfully inventive language, though I’m sure most planning on a rewatch will be keen to properly dissect that ending. That this film is getting so much attention is no surprise, time will tell if The Favourite will enjoy a long reign beyond awards season.